I am a photographer, and as a photographer I like cameras. I have a collection of more than 20 antique ones and love adding to my toys. When we decided to go to Tanzania on Safari I thought “giddy up! I can justify getting that new lens I want!” Well, as much as I wanted to, I couldn’t justify spending another $1,000 on a lens with more power than I’ll need for just about any other shoot I could imagine. Then, I thought a used lens would save money. I called around and couldn’t find a good deal. As I made my inquiries, a camera shop I trust suggested borrowlenses.com. It was just what I needed. I was able to find a Tamron 200-500mm lens for my Nikon DSLR and rent it for two weeks for $150 (including taxes, shipping and insurance). It didn’t have auto focus, but that didn’t really bother me. I’m pretty sure I can focus faster on the fly – and on the subjects I want – anyway. I’m pretty happy with the results, what do you think? 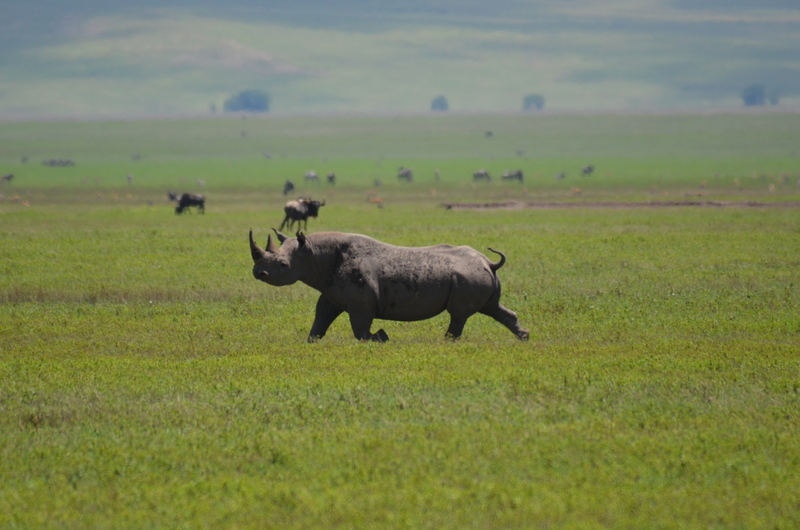 This Black Rhinoceros went for a trot across the Ngorongoro Crater, but was WAY too far away for any of the lenses we own. The rented lens brought him close enough for a great action shot! 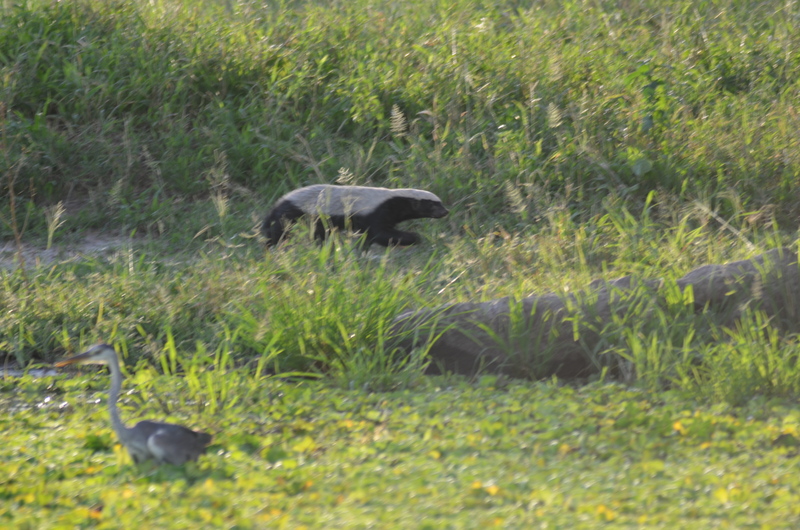 We were surprised to spot this Honey Badger (they’re typically nocturnal) running along the edge of a pond in Tarangire National Park. Once again, the lens made all the difference. 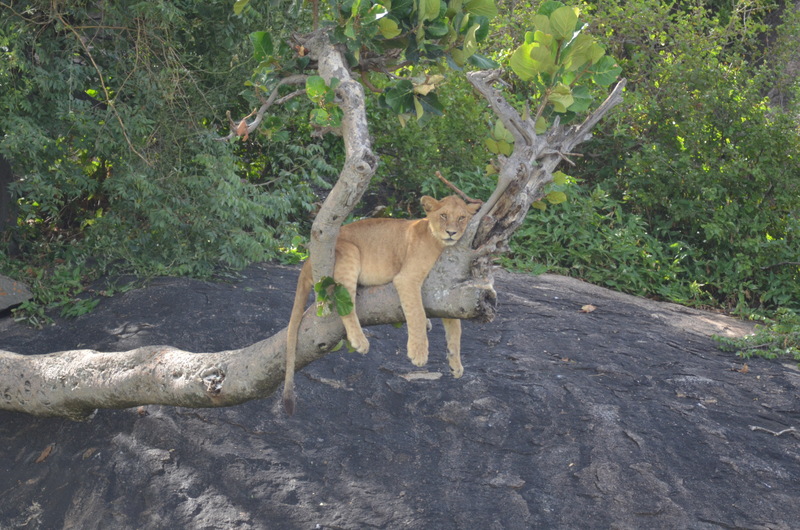 This lazy lion in a tree would have been hard to capture with our standard telephoto.